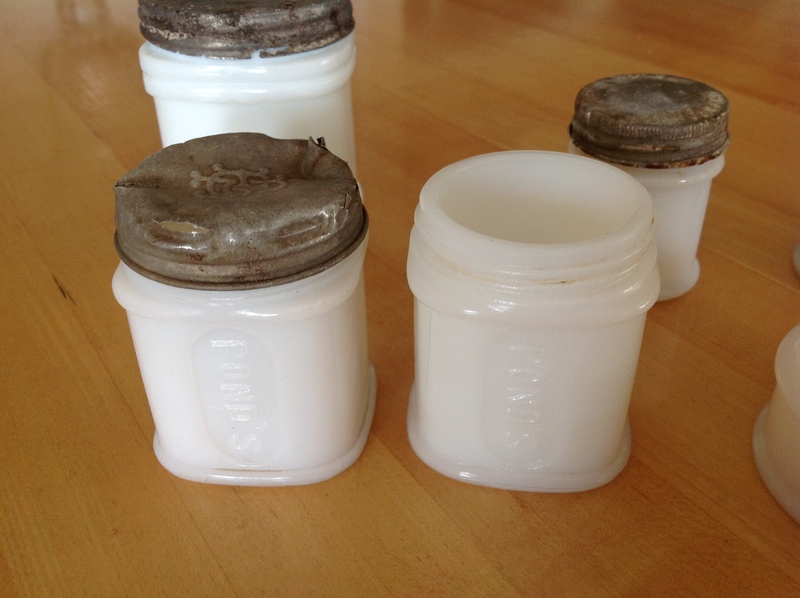 I love these little white glass jars. In their prior lives (1920s – 1950s) cold cream was sold in them . I remember my mom always used Ponds cold cream before she discovered Oil of Olay. It came in a white jar but with a more modern lid than the ones I’ve been finding. 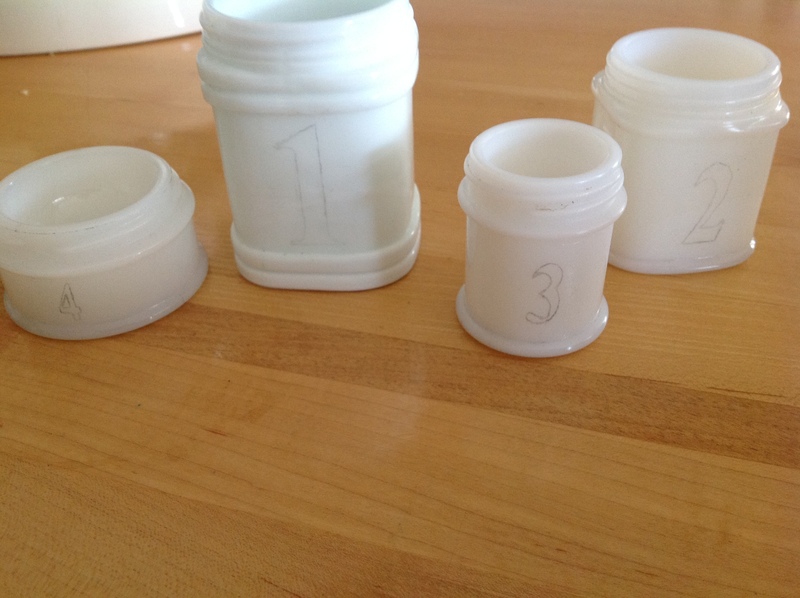 These jars come in a variety of shapes and sizes and most have lost their lids but that’s okay. These little cuties are just the right size for organizing desk supplies, jewelry or in the bathroom for cotton balls, makeup brushes and Q-tips. I decided to try painting some numbers on them to give them a contemporary look. 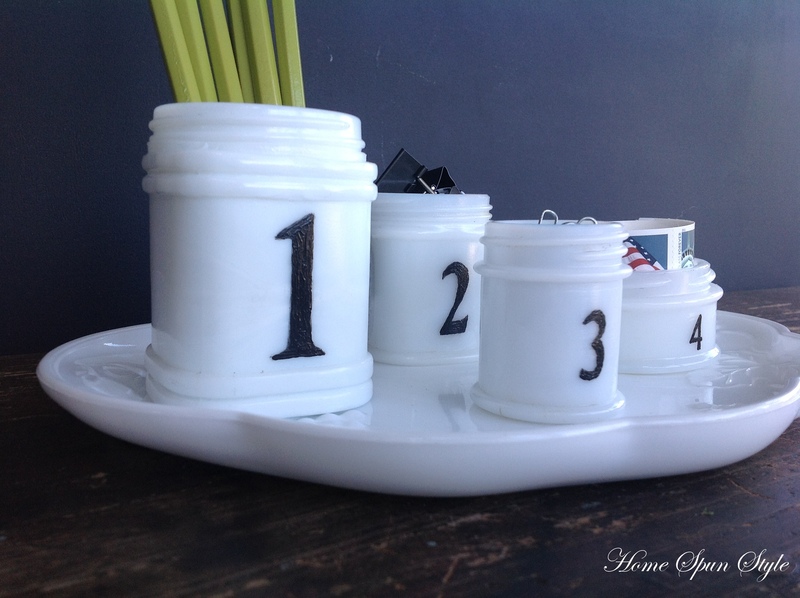 Numbers are very popular right now in organizing – I see them being used on baskets, bins, tags and more. 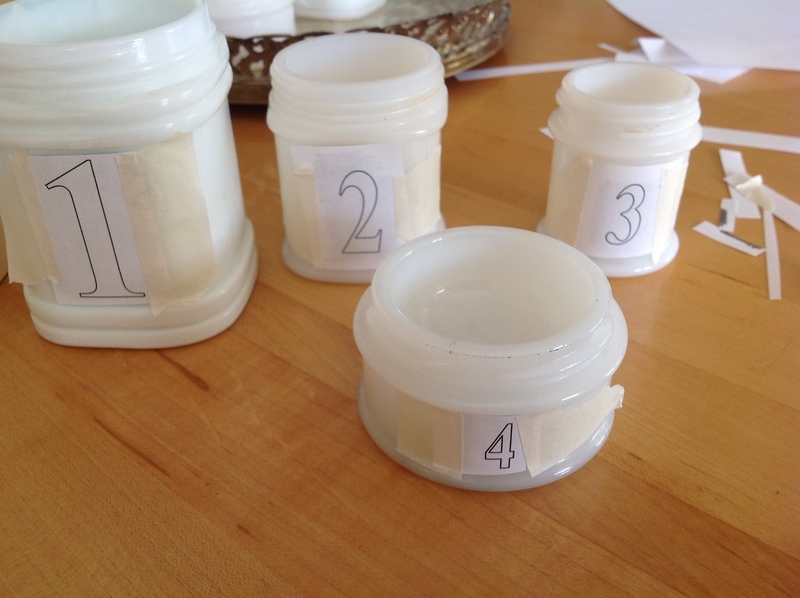 For this project I printed out my numbers in graduated sizes to fit my four jars. I simply used the word art feature in Microsoft Word to do this. 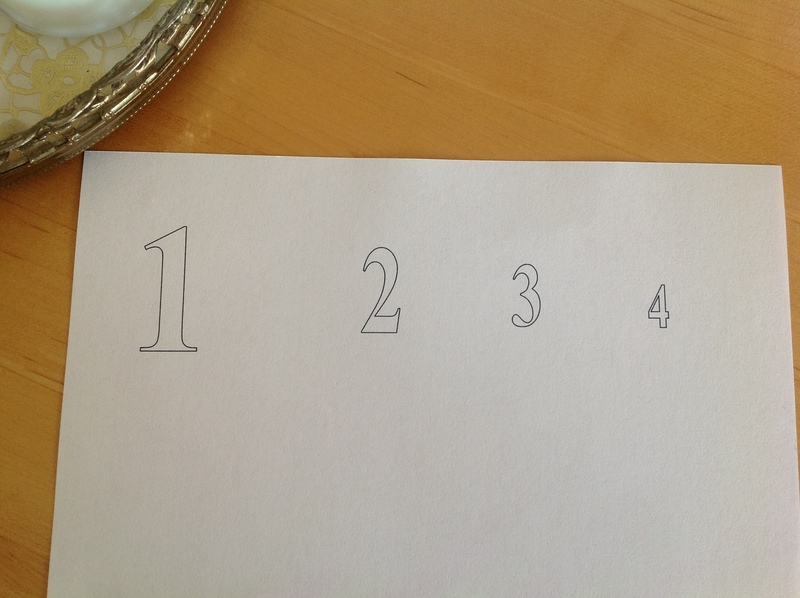 Then I rubbed the back side of my numbers with a pencil, leaving a heavy coating of graphite on the paper. I positioned the numbers onto the glass and secured with tape. 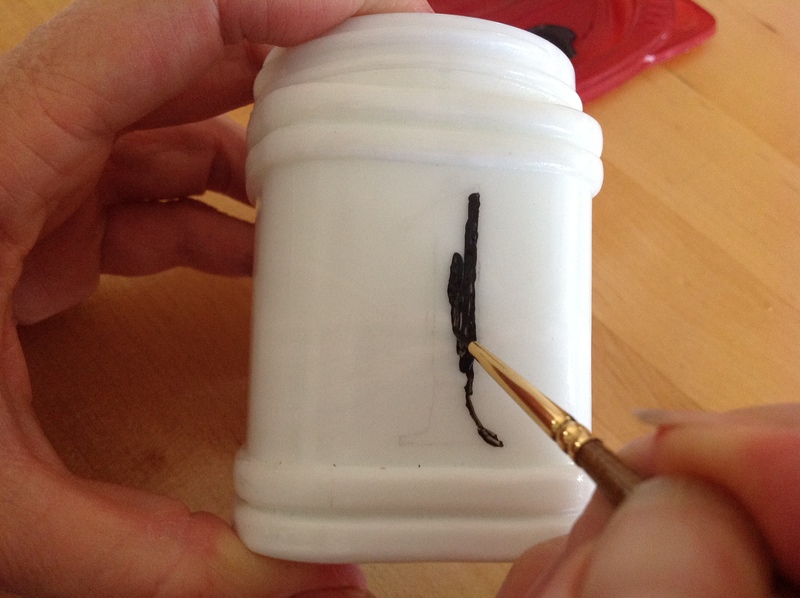 Then I outlined the number with a sharp pencil, pressing hard to get the graphite to transfer to the jar. 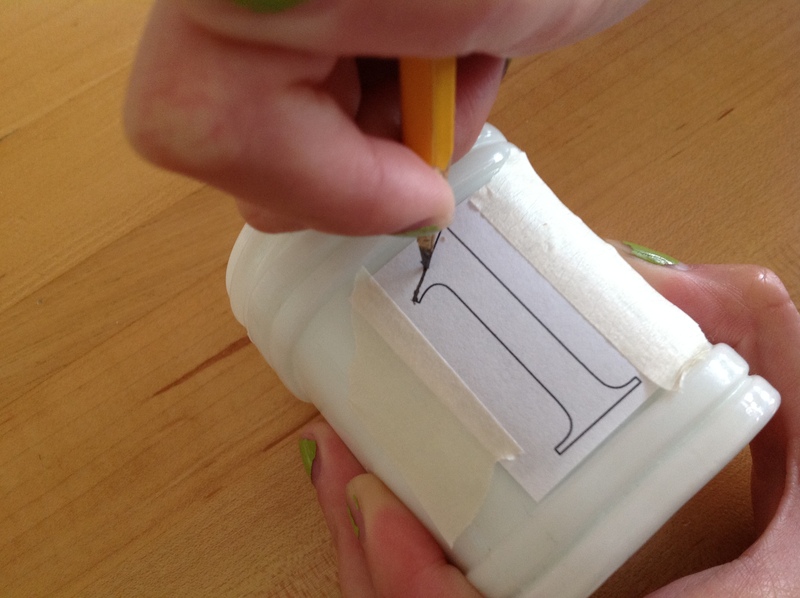 This is the same technique I used for my door numbers but in that application I used chalk instead of graphite. Chalk obviously wouldn’t show up on a white jar but graphite did the trick. 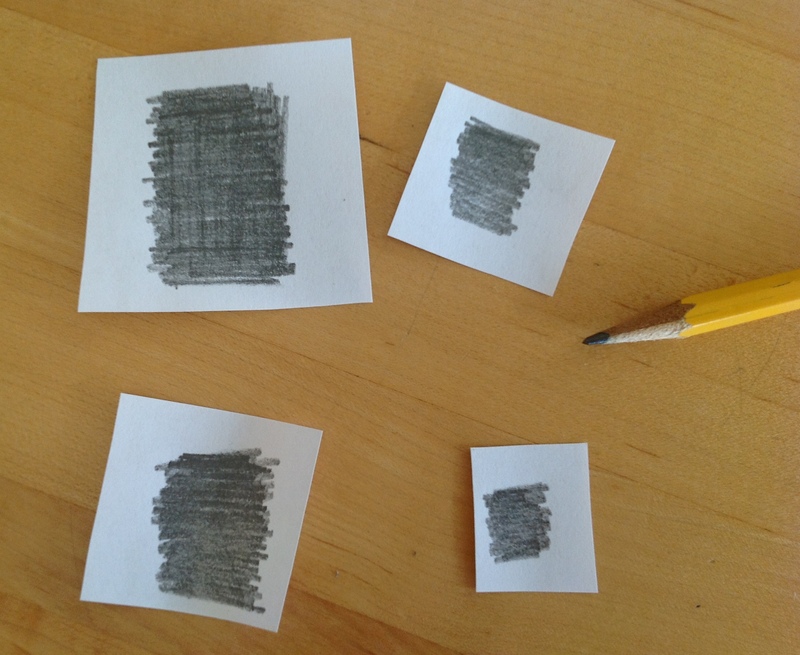 This is how they looked after I removed the paper. 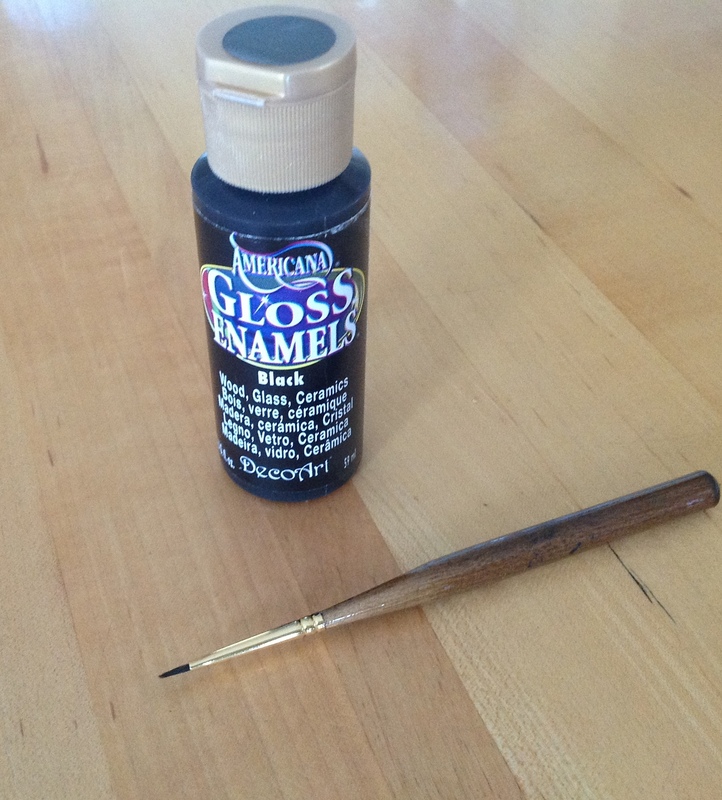 I used gloss black craft paint from Michael’s, specifically designed for painting on ceramic and glass, along with the skinniest brush I had. When I read the directions, I found I was supposed to apply rubbing alcohol on the surface first. Oh well, I wasn’t about to redo those numbers so I skipped that step. Slowly and carefully I painted on my numbers. I’m guessing that the alcohol would have caused the paint not to slide around as much. 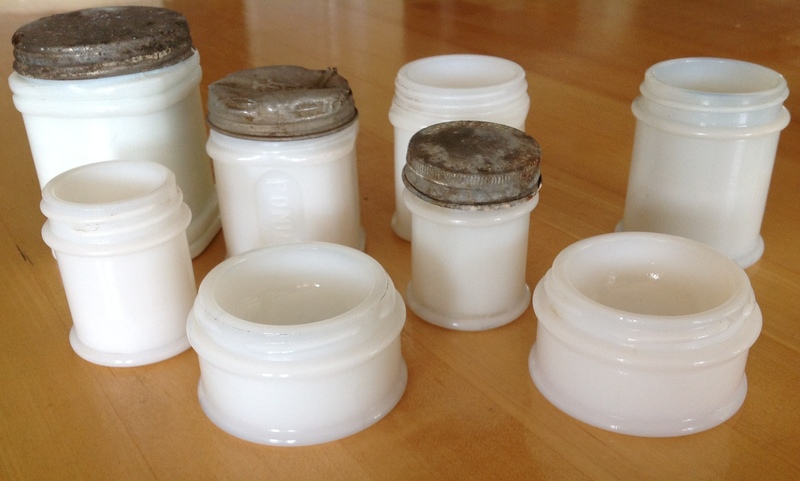 I like the modern edge the black graphic numbers gives to these old jars. 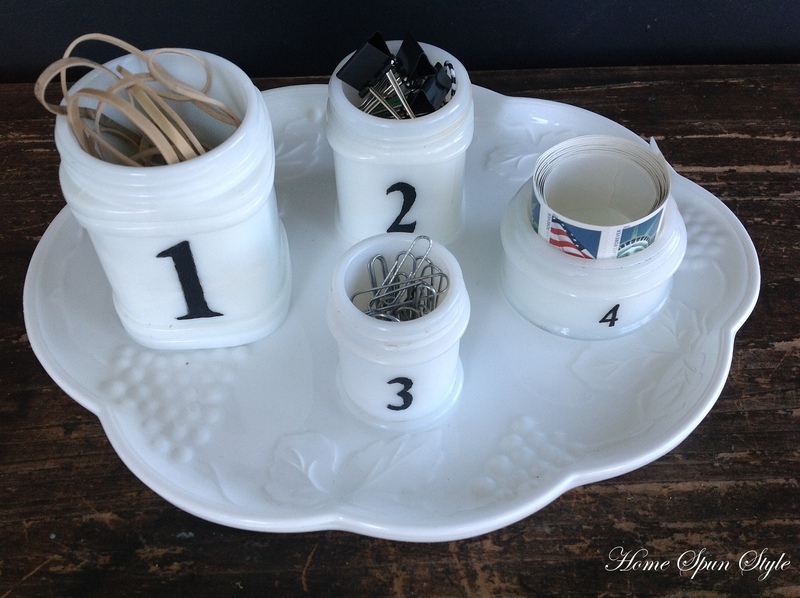 And grouped on a vintage milk glass sandwich plate gives them a bigger presence. You can find this set in our etsy store. 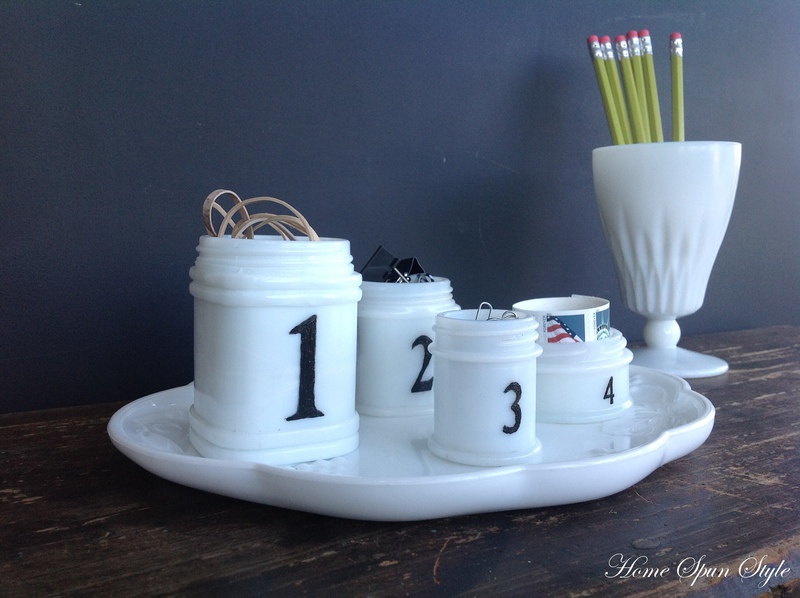 Or perhaps, you’ll be inspired to try this project yourself!